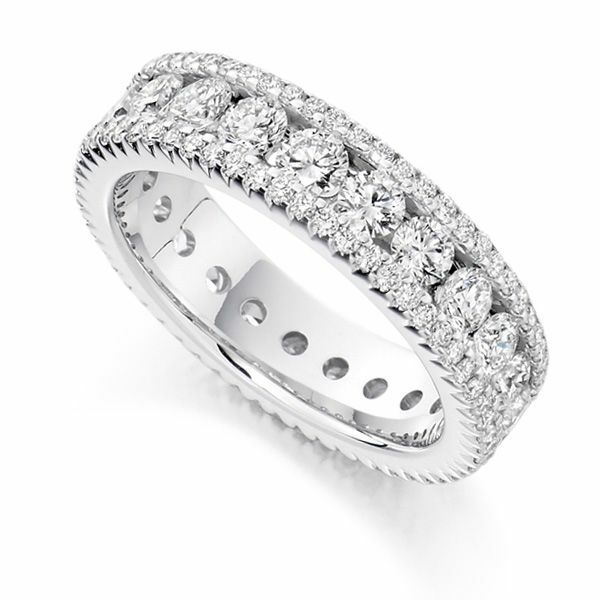 Luxurious 2.80 carat full diamond eternity ring, set with round brilliant cut diamonds, precision set along a 5.3mm design. With a total Diamond weight of 2.80cts, this is a truly exceptional Eternity Ring design. Each precision set Round Brilliant cut Diamond has been expertly graded F Colour and VS1 Clarity prior to being set. The Diamond encrusted detailing of this design will make a beautiful addition to any jewellery wardrobe. The band itself measures 5.3mm in width, and is a traditional court profile ring. This makes for both a stylish and comfortable choice. 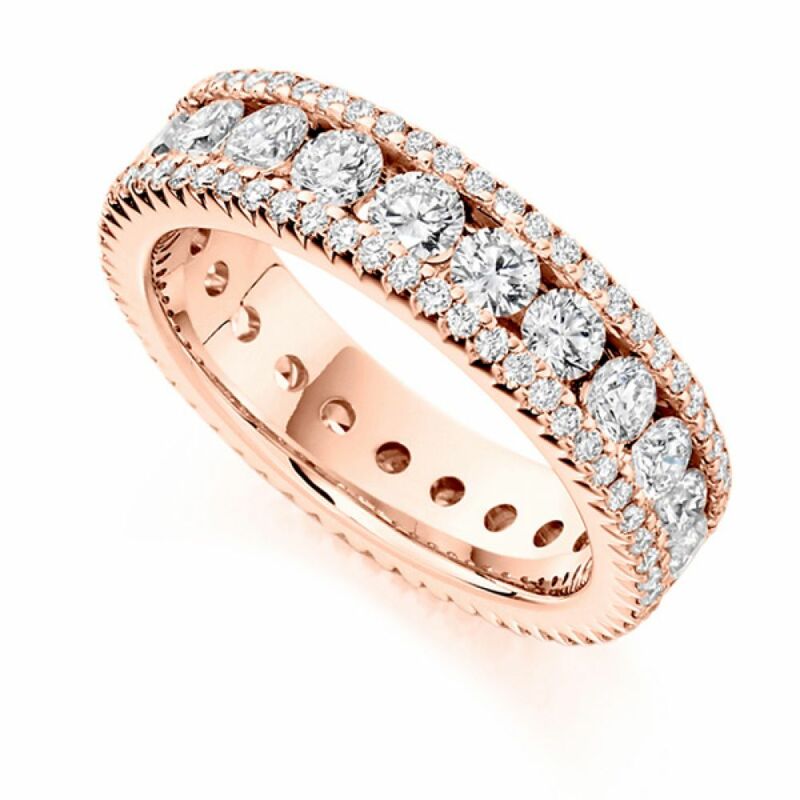 We can craft your ring for you in a number of precious metal options, including 18ct Yellow Gold, 18ct White Gold, 18ct Rose Gold, Palladium or Platinum. Please allow us approximately 4 week to craft your ring in your desired precious metal. It will then be delivered straight to your door by a secure courier, presented in our beautiful Serendipity Diamonds packaging.